Jen Mecca's Pottery Blog: Cool cups! 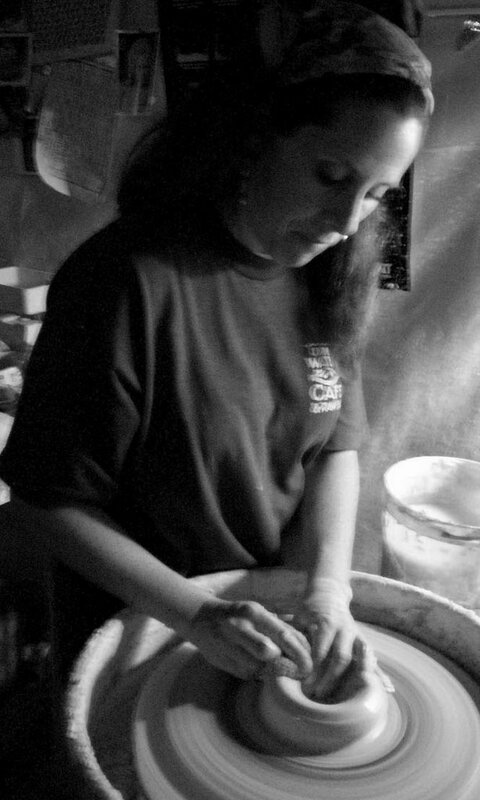 At Mudfire, where I teach, each potter pulls their own pots from the kiln. That's scary with a bunch of beginners but so far no mishaps. I'm going to go knock on some wood now. Lori - do you all take them right out the kiln like this or do you have a raku kiln that you pull up and take the pots out that way? Hi Jen. I live in BR,LA and saw the cup show. This blog post includes a picture of the gallery just in case you're curious abuot the set up. 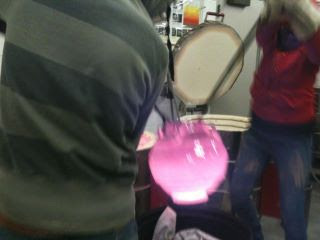 I love raku and am glad that as a student my job is to add paper or water and NOT have to take it out of the kiln! 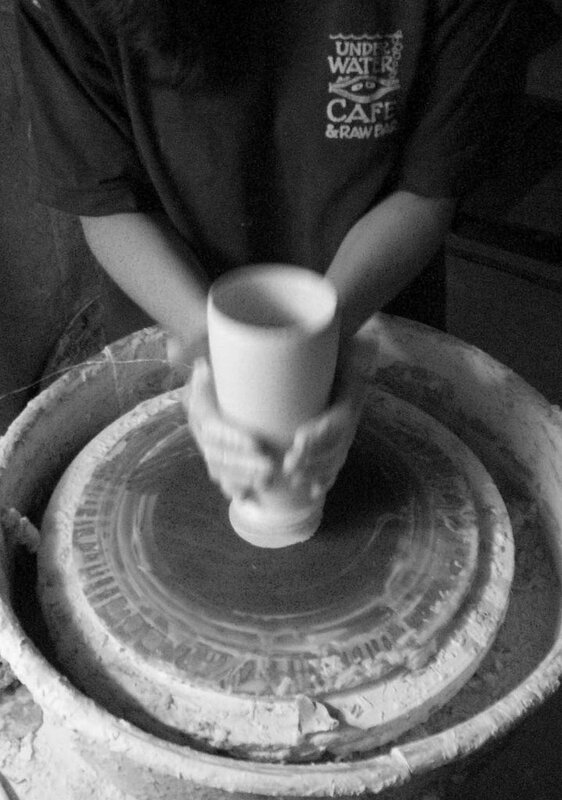 If anyone is interested in pottery courses in hampshire, UK... do not hesitate to take a look at the pottery courses at Vinegar Hill Pottery, and let David work his magic on you!